Our menus have been passionately crafted to ensure that authentic Italian flavours are evident in our wide ranging mix of contemporary Italian dishes. Our unique and substantial menu offers something for everyone with fresh baked pizza, authentic pasta, freshly delivered fish and matured carne dishes. We recommend ordering nibbles from the Stuzzichini section of our menu as soon as you are seated to tide you over whilst you peruse our delicious menu. Your server will also be able to inform you of our daily specials and the daily fresh fish options which, due to the ever changing seasonality of these foods, don’t appear on the main menu. If you are dining with a large party, we often recommend pre-ordering your food. It means you get to chat and catch up with your party over drinks and nibbles instead of waiting for everyone to choose their food. It also means we can ensure that we have your chosen dishes allocated for, and nobody will be disappointed if their chosen meal is unavailable. If you’re looking for a gluten free restaurant in West Kirby, at Et Alia we aim to offer diners dietary alternatives. If you are looking for gluten free pizza or pasta, please ensure you call ahead at least 24 hours prior to your booking to ensure that we have adequate gluten free flour in order to accommodate your request. 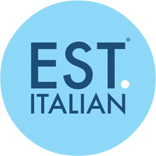 Whilst Est.Italian is not a dedicated vegan and vegetarian restaurant, we have many diners with vegan, vegetarian and pescatarian needs. Please inform your server that you follow a vegan, vegetarian or pescatarian diet and we will be happy to omit and add particular ingredients to certain dishes on the menu to meet your requirements. As an authentic Italian restaurant in West Kirby, and family orientated people ourselves, we know the importance of making sure that the little ones are catered for too. We have a set children’s menu at Est.Italian which includes pasta and pizza options with fries and ice cream to finish. We are always happy to let your children share your dishes and give out extra plates for smaller palates.